Hello all! I'm Vivienne from The V Spot and I'm so happy to be here today! 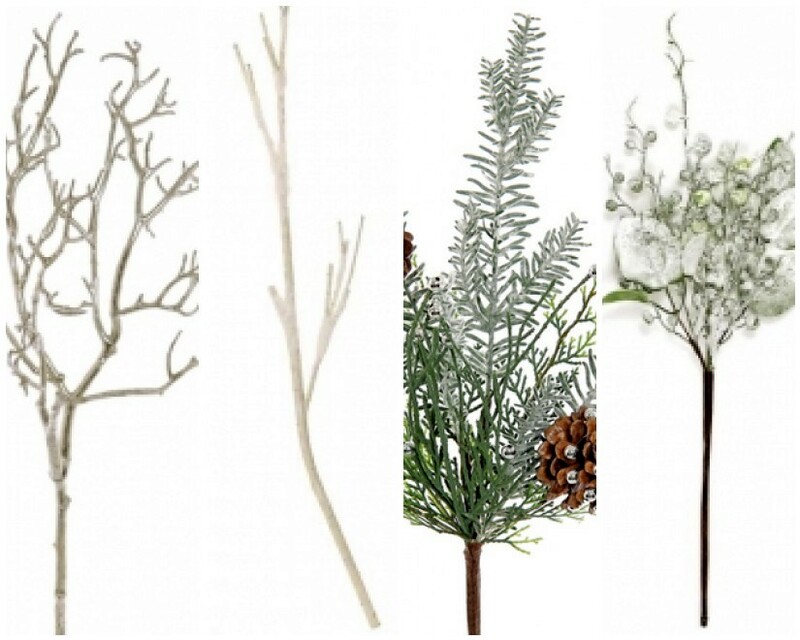 I'm going to share a quick and easy way to turn ordinary sticks and branches into frosted, icy ones for the holidays. 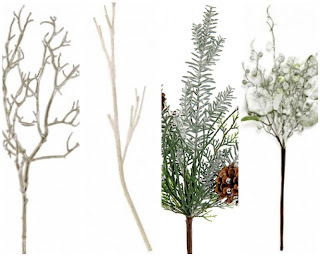 I love the pretty, frosty branches, floral picks and other accessories that are available this time of year. However, they can be pretty darn pricey and I see no reason to pay for something that I can easily make myself for just pennies. 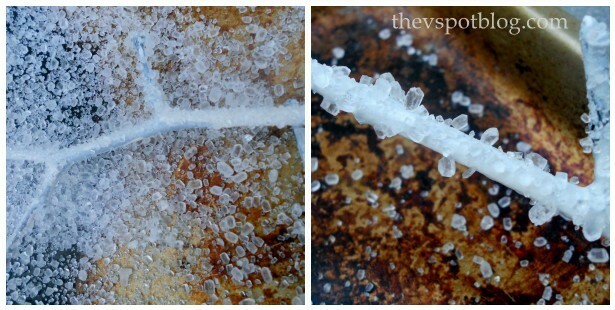 When getting the salt be sure to use epsom, which looks like icy little crystals, as opposed to rock salt, which looks like, well... rocks. 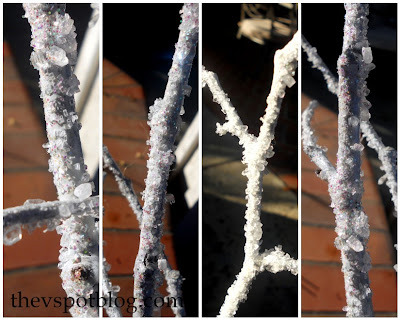 Spray your branches with white paint. When dry, spray a coat of adhesive onto the branches, then move them over an old cookie sheet and sprinkle the epsom salts onto them. I do this over the cookie sheet so I can reuse the salt that doesn't stick. Scoop up any extra salt and put it back into the container. Move the branches away from the cookie sheet and spray with adhesive again. Move them back over the sheet and sprinkle with the coarse glitter. Repeat the process with the fine glitter. When dry you have some pretty, sparkly, frosty sticks. Oh yeah, that were practically FREE! There are so many uses for them. They look great alone in a vase, or with smaller ones tucked into your Christmas tree or used in a wreath... The only caveat: salt melts if it gets wet... Not a good option for use outdoors. Have fun! Thanks for having me Allison! That is a fabulous idea Viv! They look great! Thanks for having me, Allison! Vivienne you are awesome. :) I love this - so much better than buying the super expensive store versions! !